Notes: I’m becoming a tiny property magnate. I own a hotel now too! 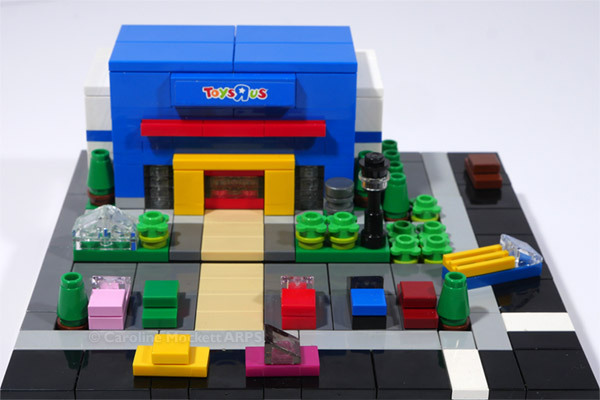 Notes: I put together this little Toys ‘R’ Us the other day, it came in kit form. But I wanted to sit it on a baseplate with roads and pavements which means it will clip together with my other Micropolis models, so I added a bit of landscaping and a car park while I was at it. 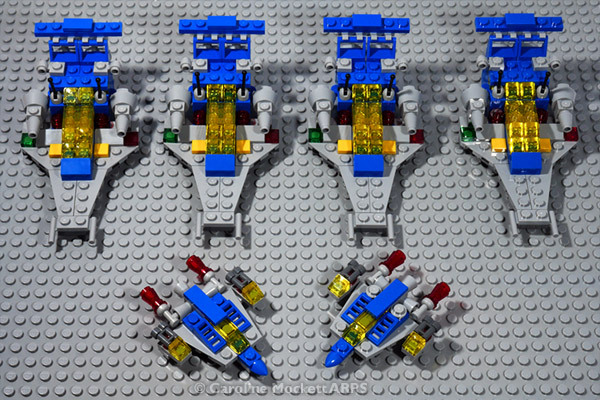 Notes: Back to LEGO again today, and I built some little spaceships for my Microscale Moonbase. The buildings have been planned but not yet implemented in reality. 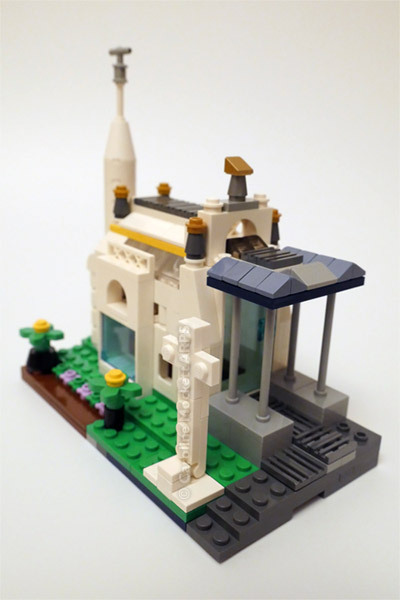 Notes: A new little Microscale building kit arrived today. 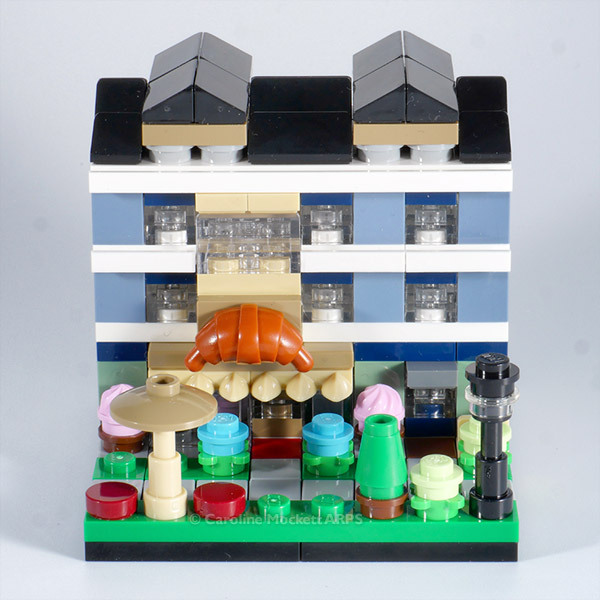 It’s a patisserie with some apartments above. Outside looks like a lovely place to sit and enjoy some tasty pastries! 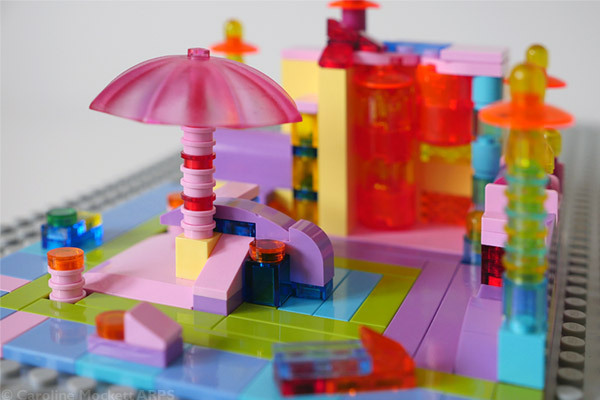 Notes: Today I thought I would try my had at a LEGO MOC – My Own Creation. Although I’ve build commercial sets aplenty, it’s the first time that I’ve had a go at building my own idea from scratch in over 30 years! 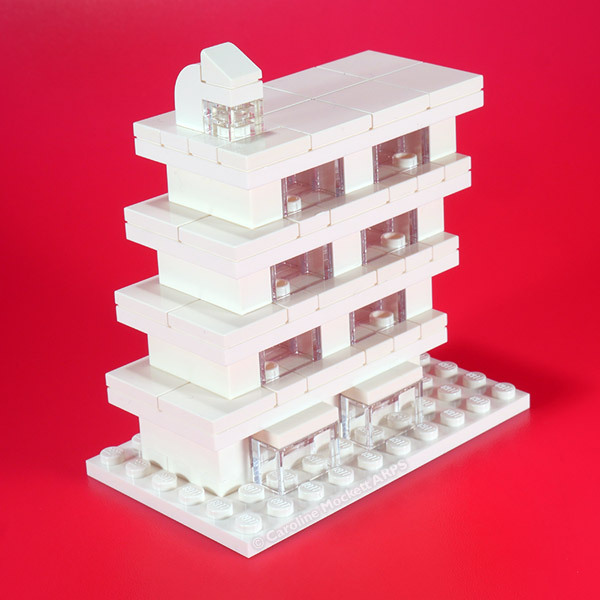 I wanted to use the bits I had to build something in Microscale (one storey of a building is about 1 brick + 1 plate high). I ended up with this modern monstrosity, which I have nicknamed St. Bridget’s Cathedral. She’s apparently the Patron Saint of Failure! I wasn’t too happy with the build, as it doesn’t really convey what I was hoping, but it’s the best I could do with the bits I had at the time. 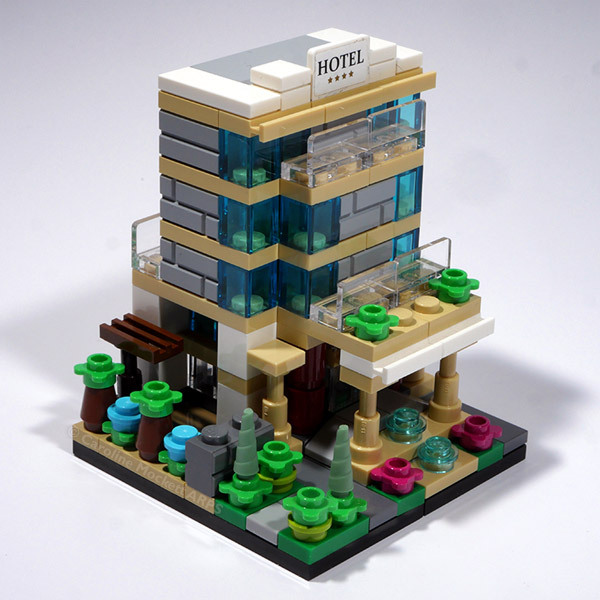 I guess I will have to go shopping at BrickLink to see what else I can get which is more suited to this scale.